Daesh (ISIL/ISIS) terrorists shot down an Mi-25 helicopter near Palmyra, Syria on Friday, killing Russian pilots Colonel Ryafagat Khabibulin and Lieutenant Yevgeny Dolgin. The pilots' fate, and the bravery they exhibited in their final moments, has brought forth a wellspring of sympathy and gratitude across Russia. 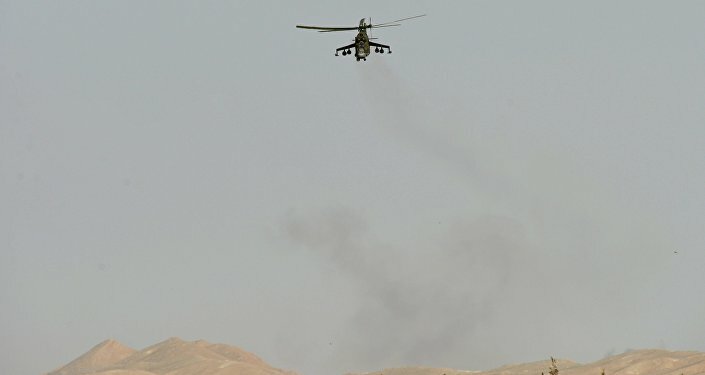 On Saturday, the Russian Defense Ministry announced that Daesh terrorists shot down the helicopter, a Syrian Air Force Mi-25 (the export version of the Mi-24 helicopter gunship) the previous day, after receiving an urgent request from the Syrian Army to assist against a large group of Daesh terrorists advancing to the east of Palmyra, the ancient city in Homs Governate, central Syria. The Russian instructor pilots, who were conducting a test flight of the Syrian gunship, agreed to assist and, according to the Defense Ministry, "thwarted the terrorists' advance." However, after spending their ammunition and changing course to return to base, their helicopter was shot down. Crashing in an area controlled by the Syrian Army, it soon emerged that both pilots had been killed. News of the pilots' deaths was met with shock and grief across Russia. The Defense Ministry confirmed that both pilots would be posthumously awarded for their bravery. President Vladimir Putin called on Russian religious leaders to pray for the fallen pilots, "who work and fight, and unfortunately sacrifice their lives serving our homeland." The pilots' sacrifice will never be forgotten, President Putin's press secretary Dmitri Peskov emphasized on Monday. Prior to the mission to train Syrian pilots to operate the Mi-25, Colonel Ryafagat Khabibulin served as regimental commander in the 55th Regiment of Army Aviation in Korenovsk, Krasnodar Region. A four-time decorated officer, he had experience fighting in several hot spots, including both Chechen wars and the campaigns to save Abkhazia and South Ossetia from Georgian aggression in 2008. A legend among his comrades, Khabibulin's colleagues told Russian media that through the course of his military career, the pilot had saved the lives of over 40 seriously injured soldiers and officers, evacuating them from several combat zones under enemy gunfire. In the course of one such evacuation operation in Chechnya, the officer's helicopter was riddled with 97 bullets, and Khabibulin himself was seriously injured in the face and ribs. Nevertheless, he was able to keep control of his helicopter, leaving the combat zone and making an emergency landing in a field controlled by Interior Ministry troops. Despite his injuries, and 8 months' worth of treatment and recovery, the officer, eager to fly, passed a qualification commission, was deemed 'airworthy', and returned to service. When the Russian counter-terrorist operation in Syria began, Khabibulin was sent to the embattled republic as a flight instructor. Khabibulin is survived by his wife and two sons; his youngest has just finished 11th grade; his eldest is serving in the Aerospace Defense Forces as a captain. Reacting to the pilots' deaths, Krasnodar Krai Governor Veniamin Kondratyev emphasized that the heroes, including Khabibulin, had died defending peace in the world, and were "people who shielded the civilian population of Syria under the wings of their helicopter…All of Kuban mourns today and will always remember the names of their heroes." Captain Khabibulin will be buried with full military honors in his homeland, the village of Vyazoviy Gai in Ulyanovsk Region later this week. A street in the village will be renamed in his honor. Russian media interviewed his relatives, who said that while they are still in shock, they have also received condolences from across the country. Co-pilot Lieutenant Yevgeny Dolgin, a 24-year-old native of the village of Sokolov in Saratov Region, will be buried in his homeland this week. Preparations are already being made for the solemn funeral and farewell ceremony honoring the pilot. Dolgin, a graduate of the Syzran Higher Military Aviation School in Samara Region, grew up in a military family, his father a pilot, his mother a social worker. Recently married, he and his wife Katya lived in Pskov Region. Friends characterized him as a "simple, honest and open person," and a romantic. 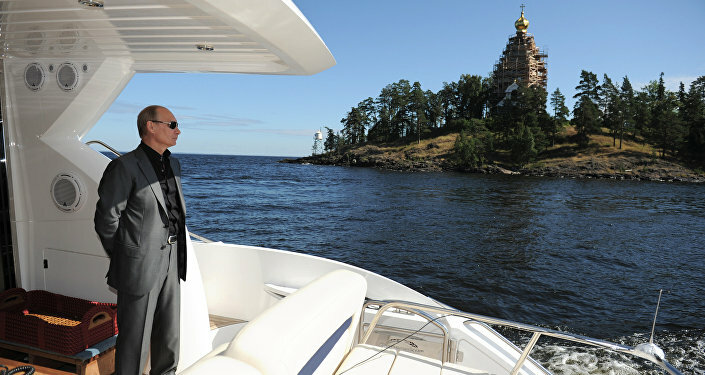 Speaking to Komsomolskaya Pravda, the bereaved widow recalled that her Yevgeny was a "kind, sympathetic, honest person. When the turmoil in Syria began, looking at how some officers left the service to escape war, he never blamed or judged anyone…In early June, he went to Syria. I asked him, 'Evegeny, aren't you afraid?' And he replied: 'Why should I be afraid? This is my profession. I studied for it.'" Evegeny called his family at every available opportunity. On July 8 at 6pm, he called his mother, assuring her that everything was alright. That was the last time his family would hear from him. — АРТЕМ КЛЮШИН  (@ARTEM_KLYUSHIN) 10 июля 2016 г. ​Colonel Ryafagat Khabibulin, Lieutenant Yevgeny Dolgin. Eternal Glory to the helicopter pilots of the Aerospace Defense Forces! Let us remember them as they were!